So where is it going next? And why are they holding off telling us? Sorry about the quality, but hey, it was the best that my buddy could do....there's some background audio that was playing in the same room which is unfortunate...I have access to some of the other songs/stems if people are interested....The Rocks Off clips are all about 1:30 long, too bad they're not the entire song. Great! Thanks for sharing, mrpaulincanada! Personally I would be very interested in hearing more of these. _ I never quite realized what Taylor was playing on this song. The only time you can really hear him is at the very end; plus it is well known that Keith played the two main guitars. What he is doing is very run of the mill; Taylor, I mean. - Love Bill's sound. That must be his home made Bass. sounds especially good in the chorus. - Jagger sound fantastic, just great. - I am curious about this percussion track. What is it? A muffled tom? Edit - I dont see how I missed the BU vox track in my first run through. That is my favorite, and a revelation. I always thought that RO was two Jagger vocals. And that he knew the original vocal so well that he just felt his way though it. So it is 3 vocals, and the high one is Keith after all. And there is a good bit more 'design' in that track than I ever thought. They are a 3rd above it. I so wish the entire song was available, but I am not going to complain. Really great find. Edited 1 time(s). Last edit at 2017-12-31 07:58 by Palace Revolution 2000. I thought it was going to Sydney. Edited 1 time(s). Last edit at 2018-01-10 12:10 by Irix. Wow, mrpaulincanada! That's great stuff! Never heard that before. edit: Man those backing vocals (with horns)! Amazing! Shouldn't this have a thread of its own? Or am I just late to the party? Edited 2 time(s). Last edit at 2017-12-30 01:11 by peoplewitheyes. Wherever it's going I'm surprised they haven't announced ticket sales yet, trying to siphon up every dollar. I hope it's L.A., or San Francisco. Lovely stuff! I can't believe how much there is to discover in this song. The Mick T line has some many cool major key notes that aren't audible in the master mix. I sort of wish his contribution to this song would have been bigger, even though it's perfection already. And the background vocals sound awesome - I love Keith's harmony there - incredible. No, Taylor is audible throughout. They both are in their respective channels. Taylor's 12-string comes trough quite a few times, in fact. As far as I know, Keith only recorded one guitar track for Angie (the one that starts the track)? Edited 1 time(s). Last edit at 2018-01-10 10:38 by DandelionPowderman. I got an email saying that the exhibit is being extended until the end of February in Vegas. "Due to popular demand the Las Vegas season has been extended to February 25 2018! New hours are 10am-4pm daily, and children under 12 go free." I have posted all the tracks that I have. I apologize for the poor audio quality and the missing tracks. 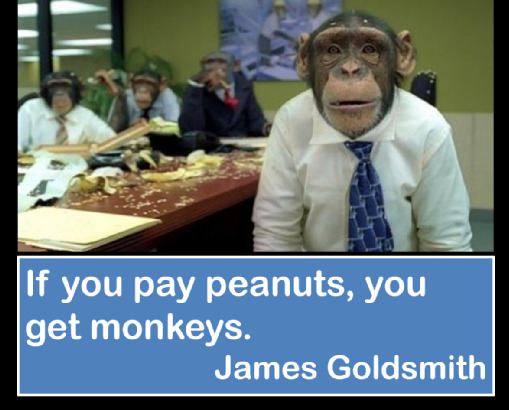 Not a very good job, but when you pay peanuts...you get monkeys. Some people enquired about the Undercover track. Unfortunately, it wasn't in the file I have. Thanks very much for sharing these! Yes very cool thank you. Those isolated tracks are amazing. I'd love to hear more if they exist. And if someone could share the Rocks Off files as mp3s, that would be great! I tried several websites that claim to convert clyp urls to mp3s, but none of them worked. I should have done this with the Street Fighting Man cassette recording. Its odd Dandy - seems like we got crossed over. I was posting re. 'Rocks Off', and you replied to "Angie". FINALLY saw it- really amazing stuff - yet the absence of MT is just crazy. Like he was never in the band. Arguably the best period of their career erased from history. The period is covered well, just not MT. Rightfully so it seems, as he would likely sue them for using his likeness as opposed to taking it as the honor it would have been. Unfortunate for him only really. I visited Exhibitionism in Vegas on Saturday the 20th, after having seen it last June in Chicago. One encouraging spot had a missing guitar replaced by a sign reading "Currently On Tour". Since it didn't specify UK and Europe, perhaps it's OK to speculate on other continents or venues in another, more critical thread on IORR?! I was shocked at the minimal merchandise available, just a little semi-booth at the exit with 2 specific Vegas Exhibitionism T-shirts... I was gonna pop on some leather goodies I had seen in Chicago! Maybe some previous visitors to the Vegas run saw more merch, or there was another merch location in The Palazzo and I didn't realize it... Anybody out there with any ideas on this? Thinking of running my teenage daughters to Nashville to check it a third time! Edited 1 time(s). Last edit at 2018-01-29 18:05 by RoughJusticeOnYa.